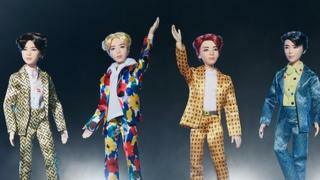 Toy-maker Mattel hit the headlines this week when their images of dolls designed to look like K-pop superstars, BTS, went viral on Twitter. The dolls have divided opinion, with some fans feeling disappointed with how unrealistic the dolls look. It got us thinking about some other rather odd looking celebrity dolls over the years! Check them out below. And let us know what you think of the BTS dolls in the comments below. BTS tickets on sale for more than £3,000! Is that really Idris Elba? He is a star of stage and screen, and now you could bring him home! 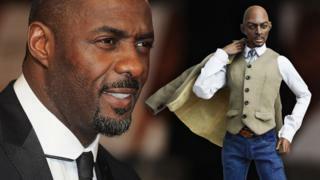 It's the doll version of Idris Elba! Really?? Emperis, a doll designer, created the suave looking doll apparently in the likeness of the actor, famous for being in the Marvel movies. However, it looks like they might not have quite pulled it off - with many people comparing the doll to the Disney villain - Jafar instead. Could it be Harry Styles? Do you remember a little band called One Direction? Back in the day when the fantastic five took the world by storm and they had more merchandise than fans knew what to do with, a set of One Direction dolls were released depicting all the members of the band. One figure in particular stood out as being a bit different from the rest. Harry Style's doll didn't quite capture his likeness in the way the other four did. 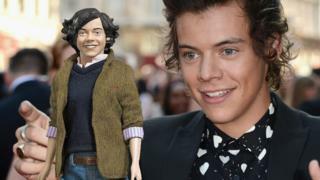 Some even compared the doll to BGT singer Susan Boyle - what do you think? Who's the richest member of One Direction? 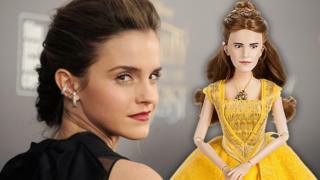 Yep, The Beauty and the Beast star was captured in doll form as part of the merchandise for the 2017 live action film. However, fans immediately spotted that there were a few distinct differences between the actress and her doll counterpart. This doll is meant to resemble one of the biggest pop stars of all time - Justin Bieber. To many the likeness of the two might seem uncanny, but we feel most fans might be able to spot some slight differences. For example, the fact that this doll doesn't really look like the star, at all! Did Justin Bieber and Hailey Baldwin get married? 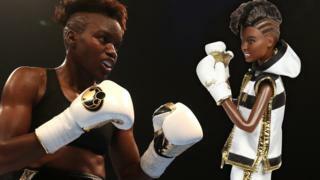 Boxer Nicola Adams and her Barbie doll - who do you think would win in a fight? At first glance, this Nicola Adams doll would appear to be a pretty good replica of the sports star? The Barbie doll was released earlier this year to celebrate International Women's Day and other famous women such as Frida Kahlo and Amelia Earhart. And while many were pleased to see the Olympic gold medallist represented, some pointed out that her body didn't quite match that of the boxer's. While they managed to capture her hair and some of her style, where are the muscles in those arms?? What do you think of these dolls? Tell us in the comments below! It would make more sense if Emma Waston was dressed like Hermine from Harry Potter. there ok I guess. I mean I would at least of hoped for Emma Watson to be a bit better. they look soooo realistic ! only Emma Watson looks bad! What did they do to Emma Watson? Why has Cookie Monster eaten his mobile phone?